Lux Axia preparative columns are wonderful! I regularly use Lux chiral stationary phase Cellulose-2 and Cellulose-4 and less frequently, the Lux Amylose-2. In our community of chiral analysis/purification scientists, there are some who use the CC4 column instead of the *equivalent* Lux Cellulose-4. On several occasions we’ve seen separation and good peak shape on the Lux Cellulose-4 that was completely missing from the CC4. Customer support and delivery times are always within a few days. Like to Draw Chiral Structures? Optimize your chiral separation and chiral purification with Lux® polysaccharide chiral HPLC columns. 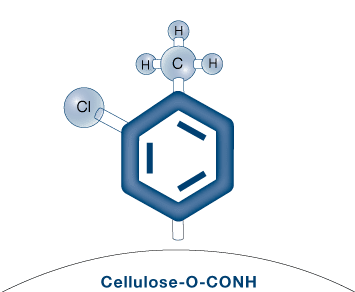 The Lux family of amylose and cellulose chiral selectors provides a variety of complementary selectivities that allow you to screen for the most effective chiral separation under Reversed Phase, Polar Organic, Normal Phase, and SFC conditions. With numerous publications in peer reviewed journals and countless applications being developed, Lux chiral HPLC columns are rapidly becoming the premier choice for simplified chiral purification and chiral separation worldwide. If Lux analytical columns (≤ 4.6 mm ID) do not provide at least an equivalent or better separation as compared to a competing column of the same particle size, similar phase and dimensions, return the column with comparative data within 45 days for a FULL REFUND. Lux is a registered trademark of Phenomenex. DAICEL, CHIRALCEL, CHIRALPAK, AD, AD-H, AD-RH, AY, AY-H, OD, OD-H, OD-RH, OJ, OJ-H, OJ-RH, OX-H, and OZ-H are registered trademarks of DAICEL Corporation. All such trademarks are used by Chiral Technologies under license from DAICEL Corporation. Chiral Technologies, Inc. is a subsidiary of DAICEL Corporation. A webinar focused on tips and solutions to provide the widest enantioselectivity and performance gains, leading to increased chiral separation success. Access our simplified chiral HPLC/SFC column screening strategies. Pick the right chiral column the first time, every time, RISK-FREE. Performance evaluation of immobilized and coated polysaccharide chiral HPLC columns using generic screening mobile phase systems. This first-to-market chlorinated cellulose phenylcarbamate derivative offers unique chiral recognition abilities that complement the rest of the Lux family of HPLC columns. The linear structure of the cellulose adds grooves and cavities for multifarious steric interactions that provide stronger solute-phase interactions and valuable chiral recognition abilities. Additionally, the selectors constituents produce hydrogen bonding, dipole, and π-π interactions that all affect the CSPs ability to separate your enantiomers adequately.